Ski Holidays to Morzine in France 2017 & 2018. With their stunning scenery and world-class skiing, the French Alps are an incredibly popular choice for holiday-makers hitting the piste. Once only frequented by the rich and famous, the French Alps are now surprisingly affordable and with the price of air travel dropping all the time, there has never been a better time to take up skiing. From the seasoned skier to a total beginner who fancies strapping on a board for the first time, there is a resort in the French Alps to suit everyone. Morzine is located an hour and a half from Geneva Airport and is a pretty, charming, character-filled typical Savoyard market town that is always bustling with activity. It is linked to the Portes du Soleil and encompasses thirteen resorts in the Alps, offering 650km of marked runs, including 230 lifts. The Portes du Soleil is the largest linked skiing area in the world, so it will not surprise you to learn that all abilities are catered for brilliantly in Morzine. Due to its high altitude, you are guaranteed good snow throughout the season, so if you choose to ski in March or April, it is still an excellent choice. There are superb wide nursery slopes and a ski school for all ages and abilities (even experts can learn something) in Morzine making it a great choice for first time skiers. Where it really excels though, is in what it can offer to intermediate skiers. The wealth of red runs and harder blue runs mean that if you have been skiing a few times, you can really test your skills before you hit your first black run. Boarders are also treated to exceptional facilities with a dedicated board park of jumps and runs designed just for them. Morzine is just a stone’s throw from Avoriaz, home of The Wall, one of the most difficult and arduous black runs in Europe. If you decide to tackle The Wall try and attempt it earlier in the day, as the moguls can really slow you down in the afternoon. Morzine has many extremely attractive chalets to choose from, as well as en-piste hotel and apartment accommodation. The Hotel Les Airelles is a popular and luxurious choice with an indoor pool, a fantastic restaurant and it is conveniently located just a two minute walk from the main gondola lift and the ski school. A week in this hotel based on two sharing costs around £600 per person at peak season (including flights). If you decide to stay in a catered chalet with three course evening meals – breakfast and afternoon tea will set you back slightly more than a hotel, but is the most traditional ski accommodation. 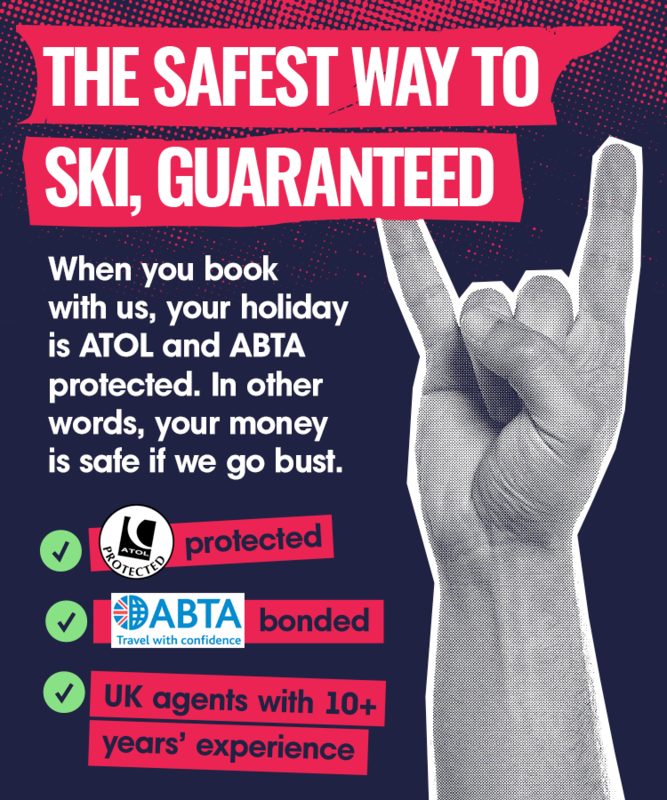 Take care if you book a chalet that you do not give yourself a long walk to the ski lifts in your heavy gear. You don’t want to be tired before you reach the slopes! Apres-ski in Morzine is pretty low-key, relaxed and not up to rival Ayia Napa standards. You won’t find the streets crammed with Ferraris in Morzine, but for a pleasant pint of local beer after a hard day’s skiing, it is hard to beat. The ‘Dixie Bar’ is an attractively-decorated piano bar near the town’s church. For a more lively night try the ‘Opera Rock’ disco which attracts a lot of young skiers. If you have the stamina to party a little later, then take a taxi into Avoriaz. There are plenty of bars and clubs there that begin to fill up after midnight including ‘The Place’, ‘The Fantastic Bar’ and ‘The Shooter’s’. In Morzine a small beer will cost an average of £1.50 which is excellent value for a tourist area. There is also a bowling alley in the town as well as a cinema. Eating out in Morzine is easy, as there are a vast selection of restaurants ranging from good value pizzerias and bistros to top quality gourmet establishments offering the finest in French cuisine. If only the best is good enough, try ‘La Grange’ where the esteemed chef serves a six course evening meal of excellent local produce. It is pricey, but the elegant setting makes it worth it. For a traditional apres-ski evening check out ‘L’Etale’. There is a disco downstairs too if you fancy dancing the night away. With so much to do on the slopes, you probably will not have time for extra activities – but Morzine still has plenty to offer. In town, there is a skating rink and if you want to see the piste at a more sedate pace you can go snow shoe walking. To see the mountains from new heights, you can even take a helicopter flight.